I've spoken to a lot of people who would love to try their hand at canning but don't want to shell out the cash for a full boiling water canner and a case of jars. 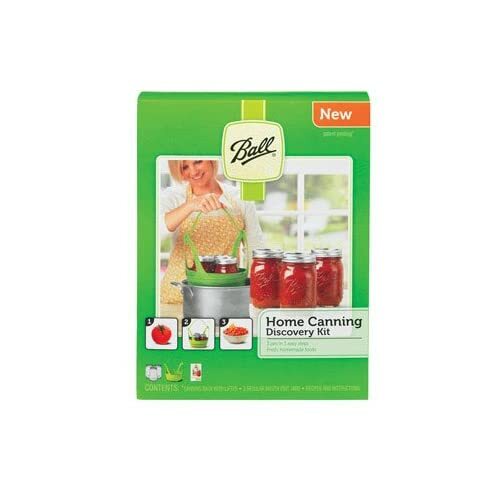 This year, Ball came out with a new product: The Ball Canning Discovery Kit. This neat little kit is under $20. It includes three jars, a plastic basket designed to lift jars in and out of a standard stock pot or pasta pot, instructions, and coupons for more jars. It's a great way to try it out to see if you like it--maybe produce a couple jars of homemade jam or some pickles. Plus, if you do become an avid canner, you'll have a ready-made "small batch" canning setup. This kit makes a great Christmas gift for anyone who likes to cook and try out new things.